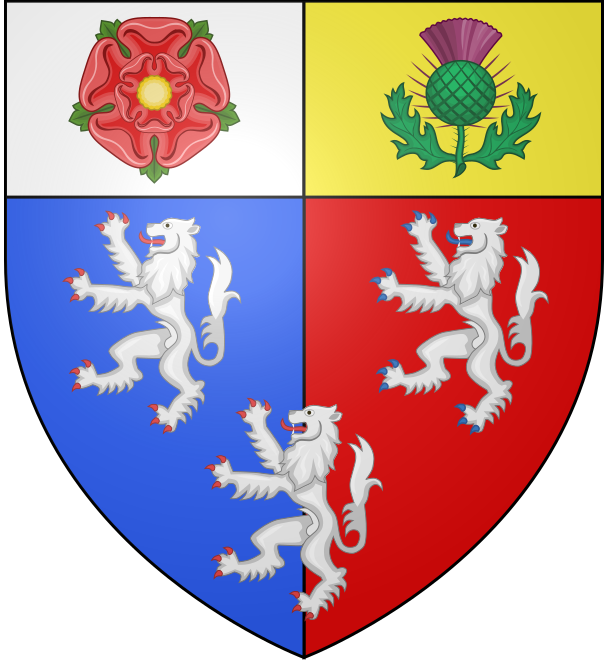 紋章 Sable, on a cross engrailed argent, a lion passant gules, between four leopards' faces azure, on a chief or, a rose gules barbed and seeded proper, between two Cornish choughs sable, beaked and membered gules. ^ Undergraduate numbers by college 2011-12. University of Oxford. ^ Christ Church, Oxford 互联网档案馆的存檔，存档日期2012-02-18.